Here is an establishment article from Bloomberg titled, Yellen Leaves Markets With the Wrong Impression. Among other things, The article says that that the central bankers are struggling to understand the recent downward trend in inflation. The millennial banking families that own the privately run central banks know exactly why there is little inflation; the world is sinking in a sea of deflationary red ink. It’s done by design. While inflation is subdued by many traditional measures, the average person’s debt and tax burdens are stifling and suffocating, and destroy buying power. This provides a favorable environment to carry out their perfect heist. As long as long-term sovereign bond yields remain low the banking families’ plan to own the world can continue to be carried out. The average alt-media follower may see this fiat monetary system as a failed experiment. However, to the owners of the central banks it has succeeded; they now have this propitious opportunity to buy up the rest of the world they do not already own while their fiat monetary system bleeds a slow death. As you can see from the above chart they are not wasting any time. Most writers and reporters in the alternative financial media come from the perspective that the US Fed and other major central banks don’t understand the implications of their actions and are just desperate. But these banks are carrying out a well-scripted plan to buy up the world for their owners without us ever realizing it. By scaring us with contrived collapses we give them permission to execute a leveraged buyout of the world right under our noses. Here is an article from one of the many who describes the US Fed as “dumb.” The writer also calls their policies “bent and distorted.” Here is another one from John Mauldin, titled “Mad Hawk Disease Strikes Federal Reserve.” I think you see what I mean. Do not get caught up in this game. The bankers are geniuses and they control the world, so it is impossible to imagine that the central banks are dumb. They own us and the nations, and continue to consolidate the world’s wealth. It’s the perfect con. We always underestimate our adversaries. Most of the financial analysts covered in the alt-media reject the notion of this conspiracy. Ask Martin Armstrong about what we discuss and he will laugh in your face. He points to Rome as an example and the decadence of politicians past and present. 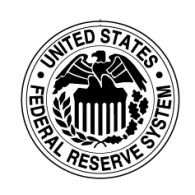 He will tell you the US Fed is a great creation, but that the US Government hinders its effectiveness. I wonder what type of agreement he worked out to gain his freedom? What about Jim Rickards or John Mauldin? How about those sound-money news letters from the likes of Mises? They are all compromised in one way or the other. If these “gurus” admitted to this conspiracy they would lose their institutional client base and would be castigated and maligned. It’s just more expedient to call central bank policy misguided. On any given day the central banks may come across as hawkish, the next day they may be dovish. It provides for a lot of commentary about the meaningless. The controlled mainstream and co-opted alt-media serve a very valuable function, as their continual screams of collapse and calamity provide the fertile ground necessary for the central banks to continue to gobble up the world for their owners. It causes a lot of confusion. Of course, that’s the intent. Why would these central banks buy up at least a couple hundred billion a month in private sector assets such as corporate debt, equities, and mortgage debt? For control, of course. They are buying much more than sovereign bonds. By the end of 2017 the central banks will control more than $20 trillion of assets. If you are looking for causes to the equity price inflation, look no further than the world’s privately run central banks. It’s done by design. It’s all about control. Once the banking families have enough of the world’s assets under their care, they will either pull the world’s economic plug or execute their planned WW III. Either way, they win and we lose. Welcome to the New World Order. In the mean time, the central banks, led by the ECB, are buying most of the debt issued by Greece, Portugal, Spain, and Italy. Recall from earlier in the decade about the scare tactics their controlled media employed to begin their Public Sector Purchase Programme. Ask yourself; how can Greece’s 10-year bond be yielding just a hair over 5%? Friday’s weak economic numbers already provide an indication that Yellen’s and the ECB’s hawkish statements earlier this week are already stale. If we analyze the weak consumer inflation data and miserable retail sales numbers, we see a domestic economy that continues to flounder. This provides the perfect backdrop to continue the plan. The one set of data that publicly concerns the US Fed is the low cyclical unemployment numbers. Yellen calls the recent deflationary forces “transitory” and says she worries that the cyclical low in unemployment poses latent inflationary risks. Really? Have you seen the jobs that make up the new economy? Have you seen the labor participation rate, which rivals the lows from the early 70’s when most women stayed at home? Privately, the US Fed is concerned that the next leg up of unemployment will cause another recession. But, it won’t matter to the millennial banking families. The worse the economy becomes, the lower bond yields move, and the further their leveraged buyout of the world can continue to move forward. You and I may be left twisting in the wind, but the weak economic numbers are a boon to the central banks and their owners.